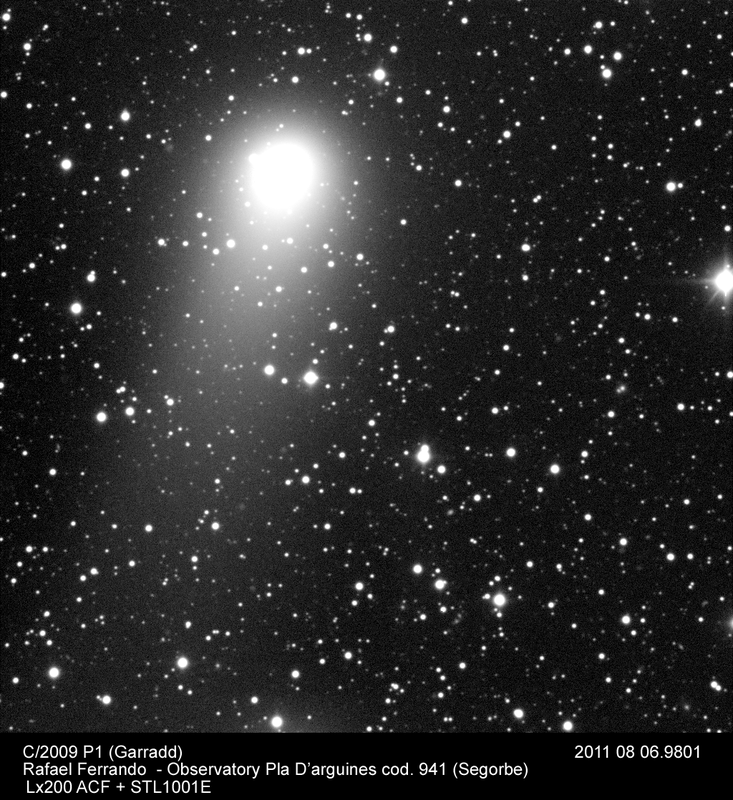 In other small bodies news comet Garradd on Aug. 15, Aug. 14, Aug. 10, Aug. 9 (also an animation), Aug. 7 (more) and Aug. 6. • 45P/H-M-P close to Earth was covered here, here and hier. 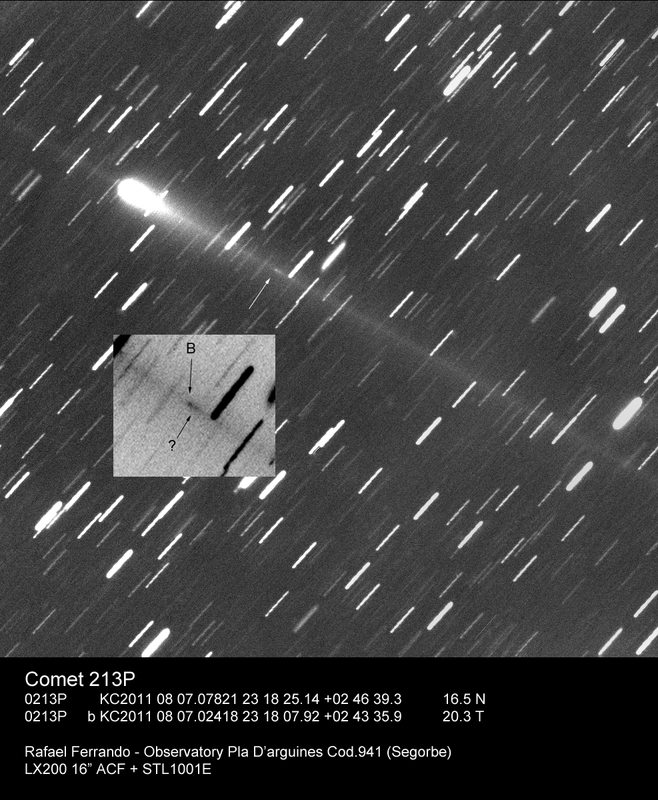 • Split comet 214P/van Ness on Aug. 9 and Aug. 7 (more) - the 2nd nucleus was seen as early as July 12, by the way. 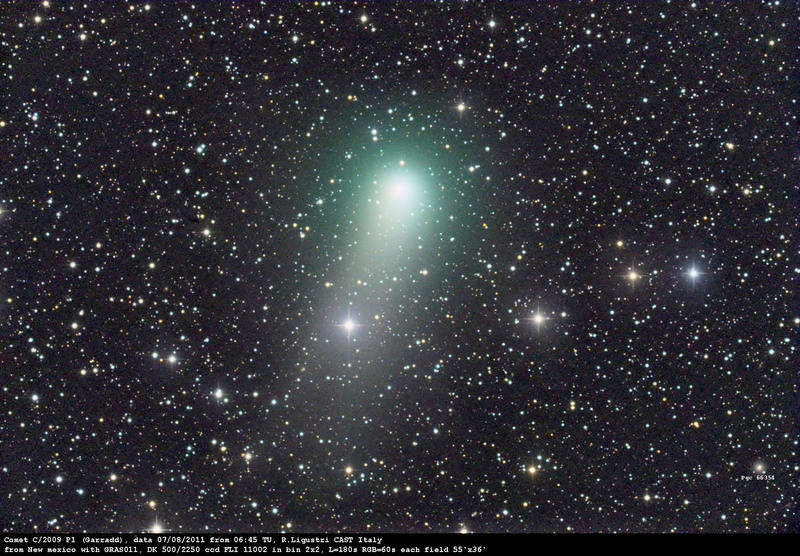 • Comet Elenin on Aug. 13 and in the FOV of a STEREO satellite (movie included! ); also an observing guide and a NASA FAQ about Elenin BS which later spawned a JPL Press Release and stories here and here. 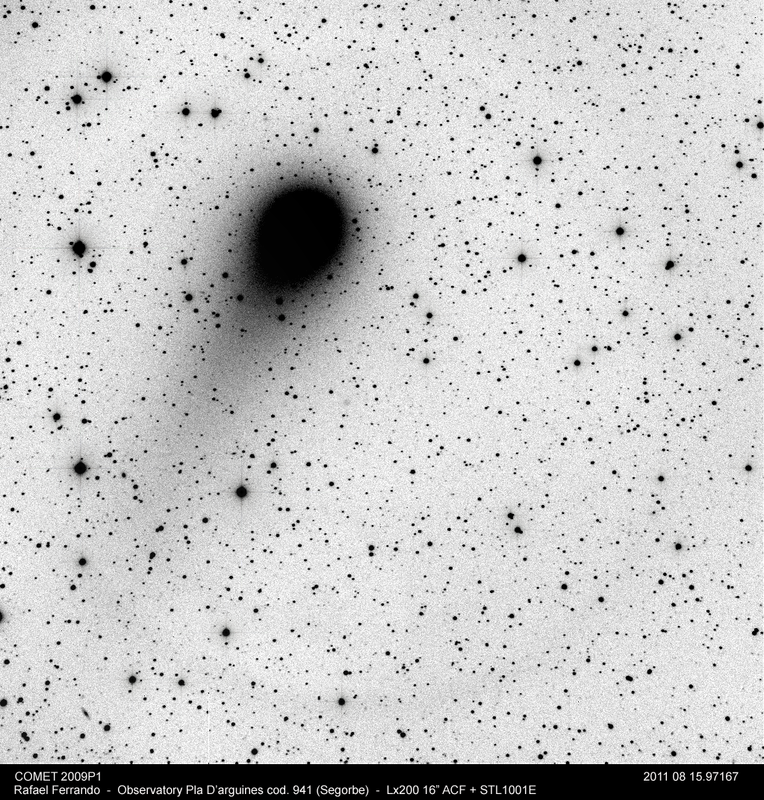 • And another McNaught discovery ... • A long list of dwarf planet candidates, the case of Kuiper belt object 2007 OR10 (also as a story here and here, KBO hunting for New Horizons and a prediction of a Pluto ring. Elsewhere in the Universe a small but cute Jupiter of Aug. 12. • A lot of solar activity: a new AR - 1271 - has appeared at the limb, prominence movies of Aug. 16 and Aug. 10 and the biggest solar flare of the cycle on Aug. 9, causing lots of coverage but few effects as it happened at the limb. Future ones may be more effective: solar flare primers as a video and a story. Plus a paper on new scientific insights from solar eclipse observations in the past 5 years. • A possible Nova in Lupus has been confirmed, the progenitor of the SN in M 51 (the claims here are questioned, BTW), and a call for continued monitoring of Eps Aur. • The Aug. 6 aurora from Scotland, Germany (a review) and Canada (a twilight video). • NLCs in the U.K. on Aug. 3 and Finland on July 21. • Some candidates for astrophotographer of the year, some pretty space pics (big!) and NanoSail D flashing over Europe.